Kerry T. Pacifico Nomintated for Time Dealer of The year award. For those of you who may not know our illustrious leader has been nominated for a very prestigious award. It has been over 40 years since the last time he was nominated and we think that he is definitely due to win the 2014 award. 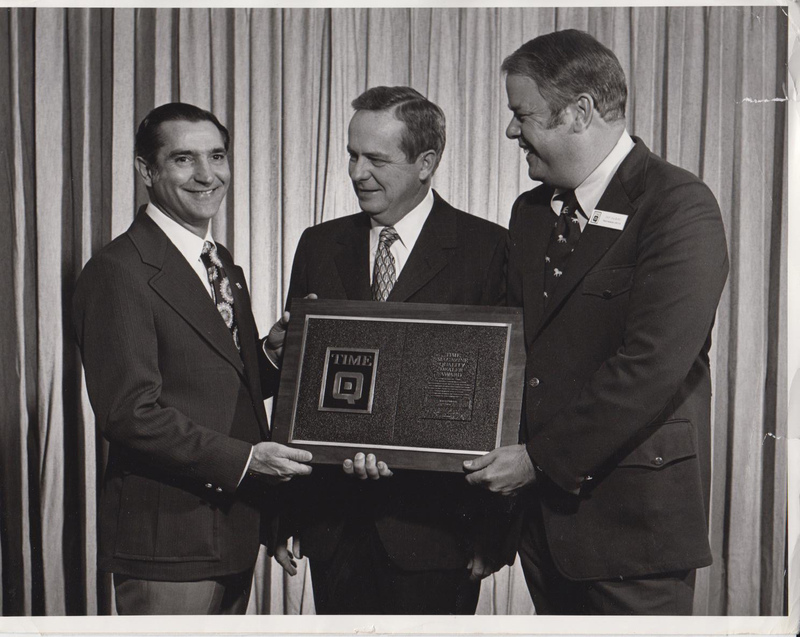 Mr. Pacifico has been active in managing this dealership ( which has undergone some transformations from a Kaiser-Frazer dealership in 1945, then a Lincoln Mercury Dealership and finally became Pacifico Ford in 1954) for longer than some of these nominees have been alive. At 89 years young Kerry is still here at the dealership almost everyday. As for the other requirement listed above Kerry has been an active member of both state and local dealer associations for over 60 years including being president of the local Ford dealers association in 1965. A few other highlights of his career include being a president of the Ford advertising association 3 times and the co-founder of our very own Philadelphia Airport Auto Mall ( the second largest auto mall in the country) and the only one of 5 original members to still be a part of it. Throughout his awe inspiring life Mr. Pacifico also served in WWII and was awarded a Purple Heart, won numerous awards such as multiple Ford Distinguished Achievement Awards and been very charitable in our community. 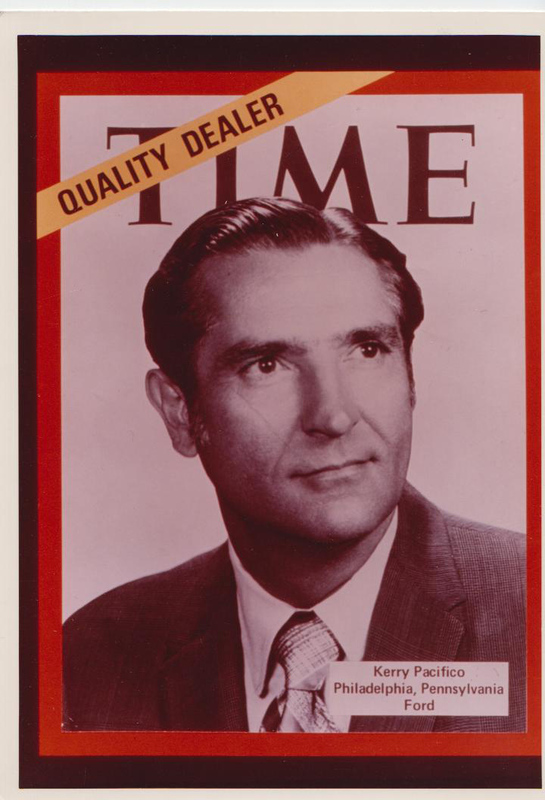 This coming May will mark the 50th year since he instituted the Kerry T. Pacifico Family foundation to give scholarships and hope to local high school students. Kerry is so proud of this foundation that he even has it in his will to continue the giving for years after his passing. To date he has donated over 1.5 million dollars to this charity alone and his contributions grow every year. There were originally over 13,000 entrants for this award. Kerry is now one of 57 still in the running. From there a panel from University of Michigan’s Ross school of business will whittle that list down to 4 finalists from each NADA region and then they will select a winner on January 25, 2014 at the NADA convention in New Orleans, LA. Update to our blog post about Drive in theaters! Coming October 18th ( through Nov 22) Philly will have a Friday night Drive in movie theater courtesy of The Awesome Fest and some other great vendors this will be a great place to take your new car from Pacifico!! To find out what’s playing and when check here. Aren’t you all lucky?! Two blogs in one week! I had a spark of curiosity while driving into work this morning when I saw an older model of Hyundai Elantra driving in front of me. How and why do car models go through so many redesigns yet keep the same name? Why not release the updated versions with new monikers? With the above information and some examples below (from the three makes we carry) I think we can draw an informed conclusion. The Hyundai Elantra was an All New model for 1990 and is still going strong today with its fifth generation design as the best-selling Hyundai in America. With something as sleek and sporty as the Mazda Miata it can be long-lasting with minimal redesigns. It was All New in 1989 and is currently in its third generation and continues to be the best-selling two seat sports car in history. This is just a small sampling of all of the different Mustangs since 1964 as there have been bunches ( Yes, bunches is a mathematical quantifier in my book) and we could do tons of blogs just about them. Models that survive long time spans like the examples above have to adapt to the times. They start as new model years and go through carry-overs, refreshes, updates, several generations of redesigns and more to stay top sellers. Their names stick because as they say “If it ain’t broke don’t fix it”. If people know these names as great cars why not keep them and redesign them? Although, I have to disagree in some cases of drastic redesign as seen in the Ford Escape Below. If you are going to change it to the point it doesn’t even resemble the same vehicle I think it requires a new nameplate. How do car models get those fancy names? My sincere apologies for the extended amount of time since our last blog. As a way to make it up to you this one is sure to be enlightening and fun! Have you ever wondered how your car model got its name? Take a look at some of the makes we carry! There are some great ones and some head scratchers. Take for example Ford Escape and the Ford F-150. Just the name makes you think about all the fantastic places where you can “escape”! I am far from a fan of numbers though being a creative type so the name of the F-150 is not quite so fun. Car models are named by car naming consultants. ( If this sounds like an interesting job check out this site for some tips on developing names) Sometimes manufacturers even have contests to name models. I found a great tidbit from a 2008 article on CNN of how the Ford Thunderbird got its name from a contest back in 1954 and car designer Alden Giberson won a $95 suit and $42 pair of trousers for his name being selected. When names are being developed some are blatantly named for characteristics that would want to make you buy a car such as being fast. 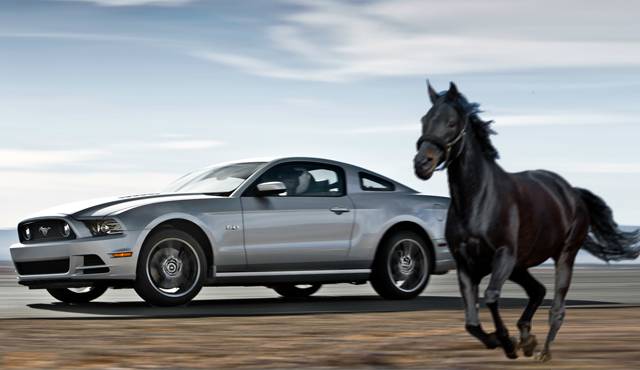 Names like Cougar ( Mercury) and Mustang ( Ford) certainly fit the bill. Sometimes even combining two words to create a new one that equally evokes speed such as the Veloster ( Hyundai) a combination of “Velocity” and “Roadster” work just as well. So why name a car with just letters and numbers? The Ford F-150, Mazda CX-5, Mazda6 ( majority of Mazda’s for that matter) are just a few examples. Many manufacturers use this alphanumeric approach. First, due to the fact that after so many years of car manufacturing it is difficult to come up with great names that are not yet taken. Second, because their competitors do it and ya gotta “keep up with the Joneses”. Third, and maybe one of the most important reasons… It is not as easy to have a bad car name using numbers as words. Unsurprisingly there have been some mishaps with car names. You’d think that these car naming consultants would cross reference other languages or just use a little more common sense when naming something that they would actually like to sell. This blog will amuse you with their top 5 worst car names. Hope you enjoyed this overdue blog! If you think of some other great ( or bad) car names please share with us in the comments section below! David Gross and his father Bernie are long time customers of Pacifico Ford. So much so that really they are family here at Pacifico. Bernard M Gross (affectionately referred to as Bernie), former member of the Pennsylvania House of Representatives and current Lawyer whose offices reside in the John Wannamaker building downtown bought his first Pacifico car ( a 1965 Mustang) at our old location on 23rd and Passyunk almost 50 years ago. When he was ready to upgrade he came to us again for his 1970 Mustang. He was well known for is bright orange 1970 Mach 1 Mustang 302 (a 1970 article in the Philadelphia Dispatch even boasted about his youthful personality reflected through his vividly colored car). David had his eye on that car since the day his dad bought it. 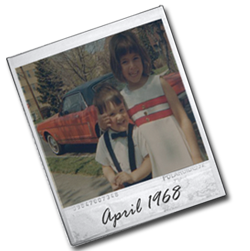 (You can see David and his sister Debbie pictured here with the car when David was about 6 years old). When David was old enough his father gifted him the 1970 Mach 1 which further fueled David’s love of cars. Skip ahead a few decades and David has since purchased many cars from Pacifco all from our veteran salesman Rocky DeGregorio. Among the cars he has purchased are a Ford Thunderbird Super Coupe, a Ford Explorer and a Ford F150. His recent purchase though is what really prompted this article. A couple months ago David decided it was time for something with more character and purchased a 2013 Mustang Boss 302 Laguna Seca. He had thought about buying the Ford Mustang Shelby but decided that the Laguna was just more “badass”. He purchased his Mustang boss in a matching color and now is the proud father of twin cars. While David and Rocky reminisced about all of the cars David and his father have purchased, David talked about his restoration of the 1970 Mustang and his travels to car shows with it. I had the pleasure of seeing some artifacts he still has from the original purchase of the Mach 1. He still has all of the original papers including his fathers bill of sale and owner’s manual. I also saw photos of the restoration process. David says that another purchase is in the near future as he will be needing a new truck to tote his Mustang to car shows. We look forward to seeing you soon David! The photos here and these tidbits of great loyal customers were just too good not to share. We hope you enjoy. What is Blue Link? It is Hyundai’s innovative telematics system. ( Oh there we go throwing all kinds of techie auto jargon at you. I bet you are wondering what telematics are too). Telematics are all those fun handy dandy things that come in new cars like GPS navigation, wireless communication and automated driving assistance. With Blue Link Hyundai takes telematics to the edge and combines safety, service and infotainment into a complete package. Hyundai wants to not only help simplify Hyundai owners’ lives but also to keep them safe and reduce distracted driving. Blue link offers 3 packages. There are over 30 combined features in the Assurance, Essential and Guidance packages. Some of the amazing features include: Voice Text Messaging, Social Location Sharing, and Automatic Collision Notification Assistance (just to name a few). Vehicles equipped with Blue Link come with a complimentary trail period( 6 months for the Assurance package and 3 months for the Essential and Guidance) consequential service agreement terms can be from 1-3 years. Blue Link is currently available on the 2012/2013 Sonata, 2012 Sonata Hybrid, 2012 Veloster, 2012 Azera, 2013 Genesis Coupe, and 2013 Elantra GT . Over the next couple of years, Blue Link will be rolled out and available on all of their models. First we just want to say to all of you out there in blogging land that we are sorry we have been away for so long 😦 But, we are back to impart some wisdom and keep you safe this summer…..
Summer heat can wear your car out… don’t let your summer road trips turn into waiting on the side of the road for AAA. There are some simple steps you can do to make sure your car stays running well and you stay safe and on the road. 1. Sounds like a no brainer but…. Clean your car! Inside and out! Make sure and get every nook and cranny. A lot of sand and grimey stuff can get lodged who knows where in your car during summer road trips to the shore. Something you may not think about is cleaning the engine bay but, if everything is clean when you check of the rest of the things on this list it will make life easier for you or your mechanic. 2.Make sure your breaks are up to snuff. Brake pads take a lot of abuse in the summer months and often suffer massive temperature changes due to the high heat of use meeting with deep puddles[aka extreme thermal cycling] ( especially from the storms we have been having lately). 3. Check all of your fluid levels. This includes… oil, automatic transmission fluid, coolant, power steering fluid, and break fluid. Make sure your car has clean and full fluids. 5. No one wants to be stuck on a family road trip in a blistering hot car. Have your air conditioning inspected. Have someone visually inspect components for leaks, check temperature readings, check that your compressor is operating properly, and inspect the drive belt for cracks or damage. Make sure your air conditioning belt is A-OK too as your air conditioning belt drives many other components in your vehicle, meaning a broken belt can actually have a worse impact than an uncomfortable trip. 6. Last but not least…. make sure you have an emergency kit in your car. As the Boy Scouts say “Always be prepared” you never know what can happen when you head out on the road. Make sure you at least have a set of jumper cables, a blanket or two, some food and water, a flash light, a poncho and a first aid kit. This site has everything you need or you can assemble your own. If you are on a budget don’t worry! Pacifico Auto Group has a great summer special because we want you to stay safe this summer!!! For $49.95 ( retail 129.90) you can check off your list quickly and not break the bank. Visit any of our websites to print out the coupon and come on in for your Summer Service special and get your emergency kit before we run out!! !